Hung out with Linda and JJ at the motel until almost 11:00. It was a cooler, hazy day. The sun was shining but couln't generate much heat. Otter Crest Loop was today's highlight. A too short section of road where only south bound traffic and bikes were allowed. Great views. 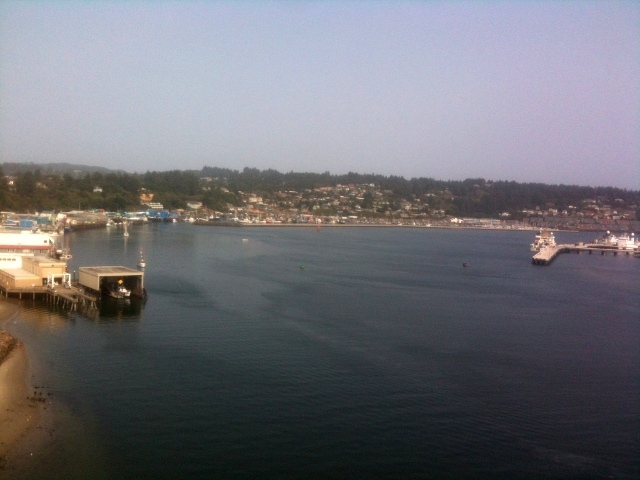 The ride through Newport was pleasant, but then I had to walk over the Yaquina Bay bridge. The surf was much bigger today. Looked to be st least 6-8 feet at most beaches. Didn't see any surfers though. Met up with Linda and JJ again in Waldport. 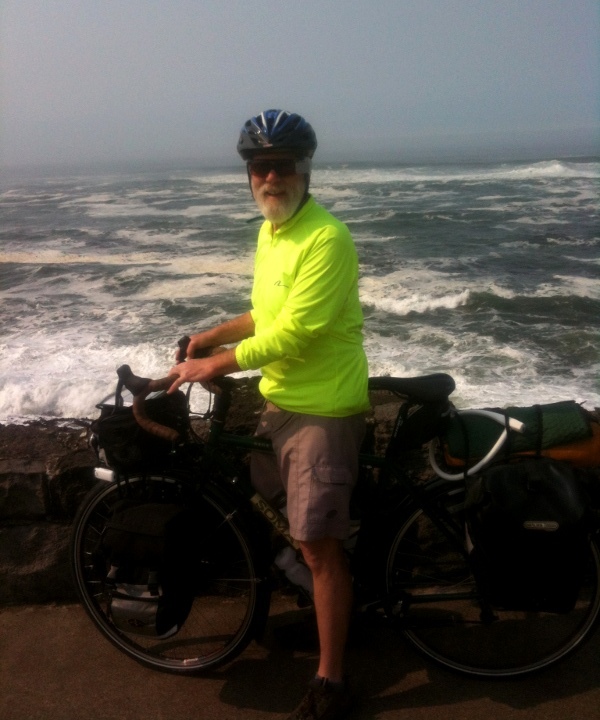 While we were talking Craig, whom I met at Cape Lookout came riding by. 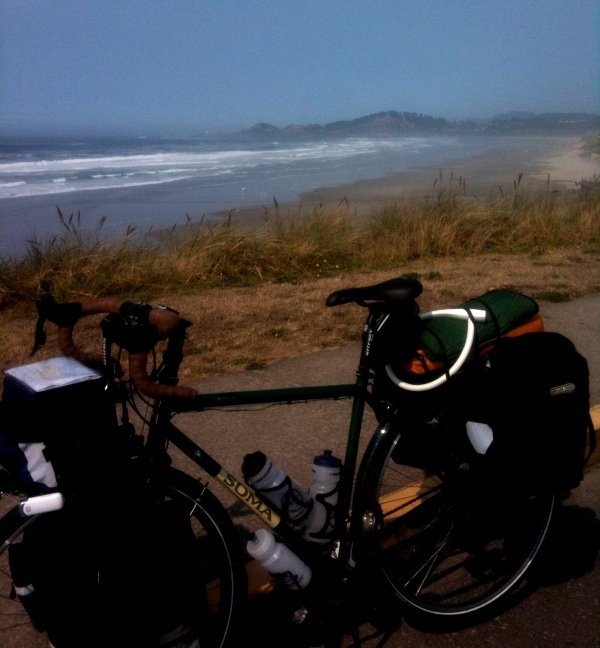 I had a spaghetti dinner in Waldport and then proceeded the remaining 3 miles to the campground. Another great spot nestled in the shore pine just off the beach. 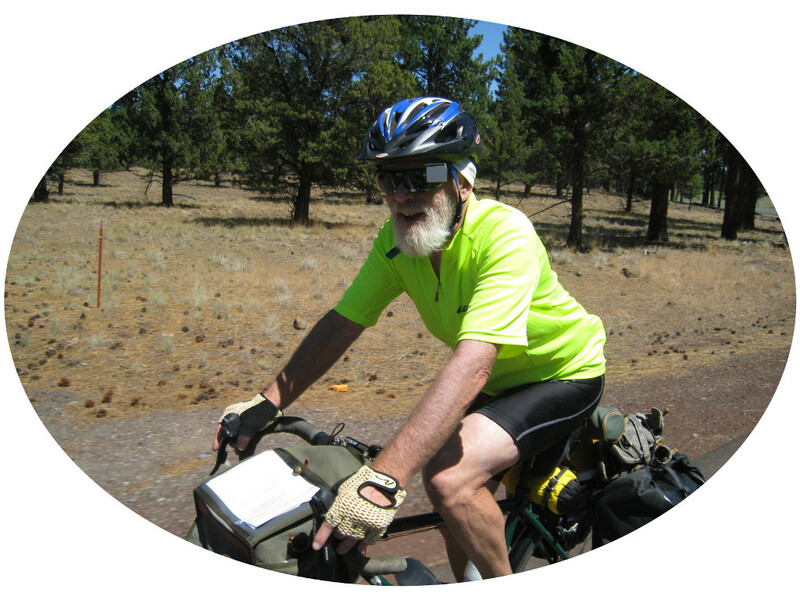 Camped with Craig and Garth, a Candian who has toured all over the world, and is currently on his way to South America. 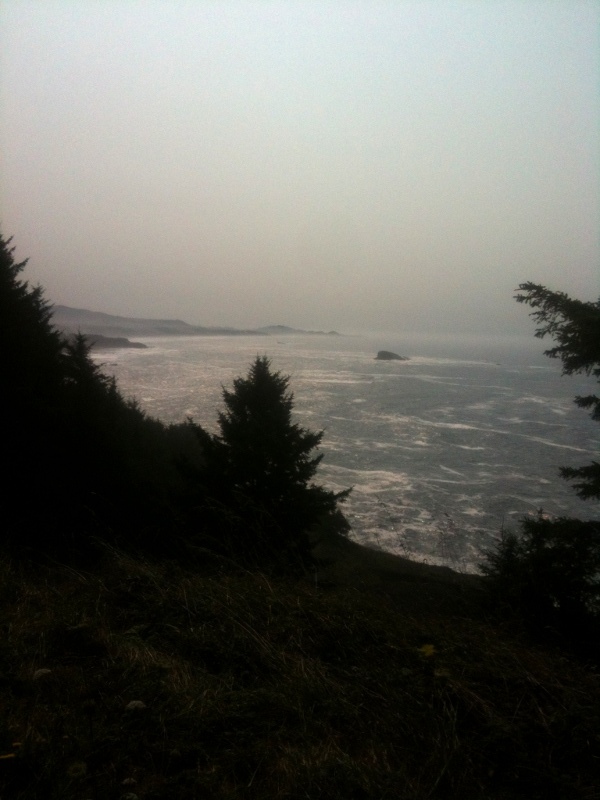 Deboe Bay is always stormy. It also has the worlds smallest harbor. 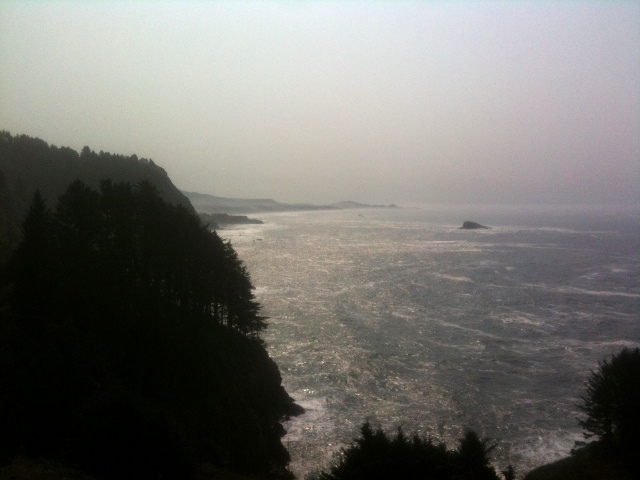 At Newport looking north to the lighthouse at Yaquina Head.